Bunnies are symbolic of new life during the spring months when everything is fresh and bursting with new growth. Bunnies are also one of the integral commercial symbols that represent the Easter holidays. According to folklore, it’s said that the Easter Bunny got its origin in Germany centuries ago. These cute, fluffy and adorable little animals happily hop around leaving colored eggs in hidden places for well-behaved children. Whatever its inception, bunnies are accepted as a normal part of the Easter holiday season. Of course, no Easter holidays would be complete without the chocolate bunnies and an abundance of creme eggs and the stores are filled with all kinds of these confections. Our family tries to stay away from these sugary treats and choose to included bunnies in other ways, like books. 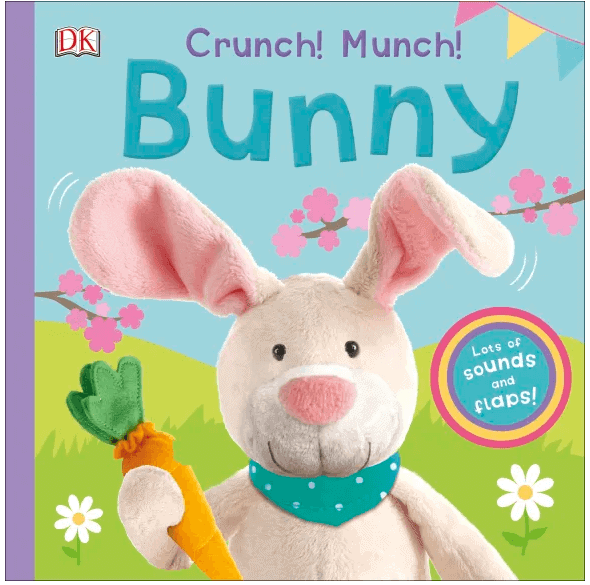 DK has a variety of interactive books and several of them are specifically about bunnies. Crunch! Munch Bunny is an interactive board book that’s light activated. It engages curious toddlers to open flaps and experience various sounds. As children flip open the pages, they are greeted with appealing illustrations and a secret flap. Each page has a flap that when opened shares a unique sound from a noisy baby animal. 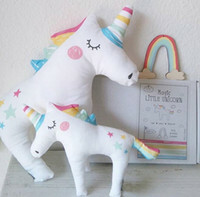 The stuffed animal characters are charming, the colors are vivid and the storyline is inviting with its rhythmic content. It’s a great book for babies and toddlers. 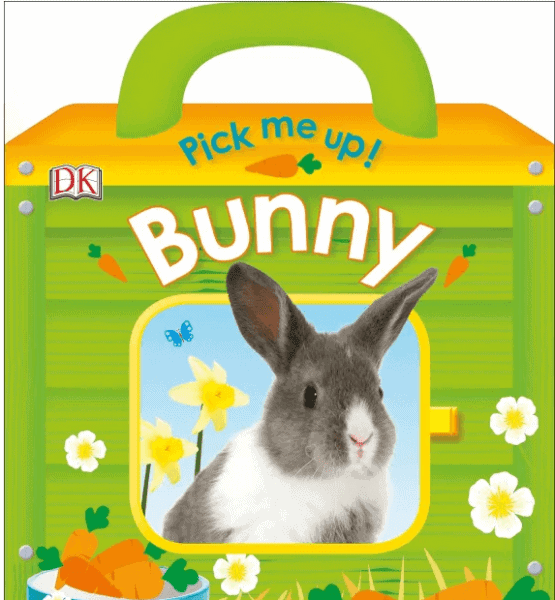 The Pick Me Up Bunny board book was created to look like a pet carrier with a peek through window and easy carry handle. The story is about a fluffy little bunny named Bouncer and his four friends. Toddlers and preschoolers will learn what Bouncer the bunny eats every day. He’s looking for some juicy sweet and crunchy carrots, so he asks his friends. They are eating their favorite food and offer to share their meal, but Bouncer is craving some carrots. Filled with attractive images, this cute little picture book can be carried where ever your toddlers go. Secret code: nibble. The Baby Touch and Feel Bunny board book is a tiny book for tiny hands. It’s full of adorable images of bunnies and their friends. This book is all about texture so kids can develop their tactile and sensory skills. Toddlers and preschoolers can see, feel and experience different surfaces by touching different areas on each page. Each page has a different texture with easy words for toddlers to develop their language and reading skills while expanding on concepts of color, shapes and patterns. It would be so lovely for my upcoming grandchild for Easter Bunny “reading”. I’d love to win because we don’t have many easter books yet! So cute for my friend’s little boy Dallas. Would love to read these books to my girls! This would be an awesome gift for the little ones. What child wouldn’t love it!? My 1 1/2 yr old grandson would adore these books. I would like to win for my girls. It looks like a super cute prize. I would like to win because it would be a nice Easter gift for the grandchildren. The children at Sunday School would love these books. I would like to win this prize to gift to my nieces. I would love to win this to give to a precious little girl at Church. She is so sweet and she wouy live this! New grandchild coming soon! Great reading material! I have a little one year old granddaughter who would just love this little book! The Easter Bunny wants to read these books to the kids! We have a new addition coming in July and winning would give the new baby a jump start on falling in love with books! I live reading books with my son. These would be great. I’d love to win this for my granddaughter who loves animal books. love to win to read to the grandkids! Adorable books! I have a niece who is due in September. These would be nice to gift to her. I would love to win these for my cousin and her daughter. I would love to win this for my 2 year old granddaughter, she would really enjoy this book. This would be for my future grandchild. I would love to win this book prize for my 1 year old first grandchild! I would love to win these books for my youngest granddaughter. She already likes to be read to and I think she would enjoy interacting with these books. My niece and nephew love books! I would give these to my new nephew and his 2 year old sister. I would love to win this to give to my new granddaughter! story time with my niece and nephews….we all love this time together! I would to win this to share with my niece! I am a special education teacher and I love books! My grandson loves books and thinks bunnies are so cute. This is my daughter’s first Easter understanding what’s happening so it would be great to have these books to read with her. I would love to win this because my son’s current touchy/feely book is falling apart from so much use! This will be a nice change! I’d love to win this for my about to one year old granddaughter. My grandkid would love them! My daughter loves bunnies. She would enjoy this. I’d love to gift this t my niece for her b/day. I would love to win this for my nephew’s daughter. This would be great for when the nephews come. I would love to win these cute books for my niece, she has two little ones to read them to.